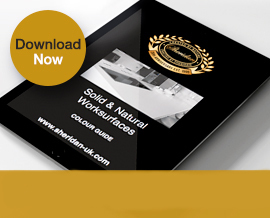 Sheridan worktops are the UK’s largest supplier of granite worktops, quartz worktops, Corian® worktops, Silestone® worktops, Apollo® worktops and wood worktops to blue chip and independent retailers. 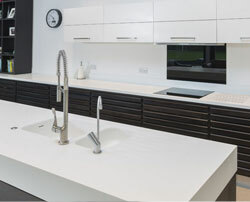 Sheridan worktops offer a wide range of bespoke and custom worktops, manufactured and fabricated in house by a highly skilled manufacturing team and then installed by highly skilled staff, to guarantee satisfaction for every job. 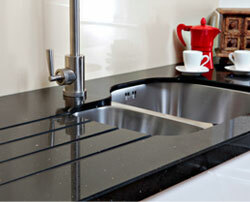 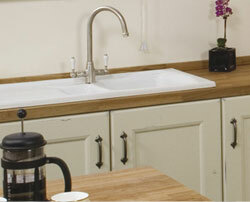 Sheridan worktops are manufactured in a wide range of materials which include Granite, Corian®, Apollo® Magna, Apollo® Slab Tech, Apollo® Quicktops Granite, Apollo® Quicktops Quartz and Apollo® Quicktops Solid Surface, Solid Natural Wood, Apollo® Quartz, Silestone® and Zodiaq® worktops, in addition to the Apollo® Acrylic Door and Splashback range. 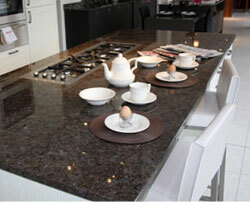 As a market leader Sheridan continue to invest in the latest technology, service levels along with new and innovative products, ensuring that we remain at the leading edge of the kitchen worktop industry.